Mechanic, MLA (1941-1945), MLA (1946-1949), MLA (1950-1953), MLA (1954-1957). Born at Hafford, Saskatchewan on 10 June 1912, the youngest of nine children of Danylo Kardash and Ulyta Byck, he was educated at Hafford High School. He became interested in left-wing politics and, in 1937 and 1938, during the Spanish Civil War, he served in the Mackenzie-Papineau (Mac-Pap) Battalion of the International Brigades, losing his right leg when wounded in battle. 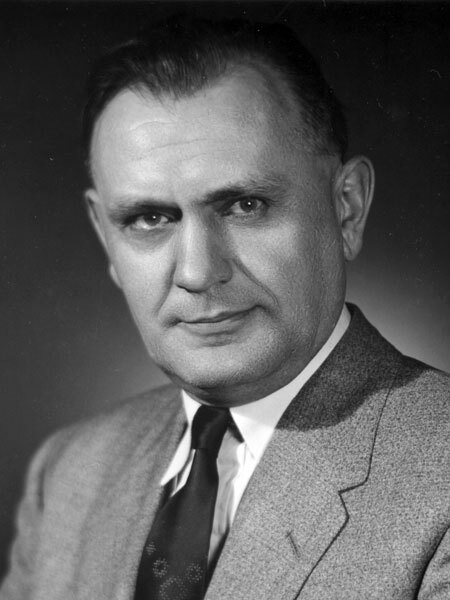 He moved to Winnipeg in 1939 and, in 1941, he ran for election to the Manitoba Legislature, being elected on behalf of the Labour Progressive (Communist) Party for the Winnipeg North constituency. He held the seat for 17 years, being re-elected in 1945, 1949, and 1953, until 1958 when electoral boundaries were changed. He ran as a Communist candidate in the 1969 and 1973 provincial general elections but came in a distant fourth place each time. In 1948, he became General Manager of the People’s Co-operative Dairy, Fuel and Lumber Yards, a position he held for 34 years. Following retirement in 1982, he continued to serve as President of the Board of Directors of People’s Co-up until the business was sold to its employees in 1993, after which he chaired the Co-op Wind-up Committee. On 27 March 1940, he married Mary Kostaniuk (?-1994), daughter of Mr. and Mrs. Myron Kostaniuk of Winnipeg. They had one son, Teddy Vincent Kardash. He was a member of the Association of United Ukrainian Canadians and the Ukrainian Senior Citizen’s Club. He died on 17 January 1997. “Communists name two candidates,” Winnipeg Free Press, 7 June 1969, page 8. Obituary, Winnipeg Free Press, 20 January 1997, page B5.